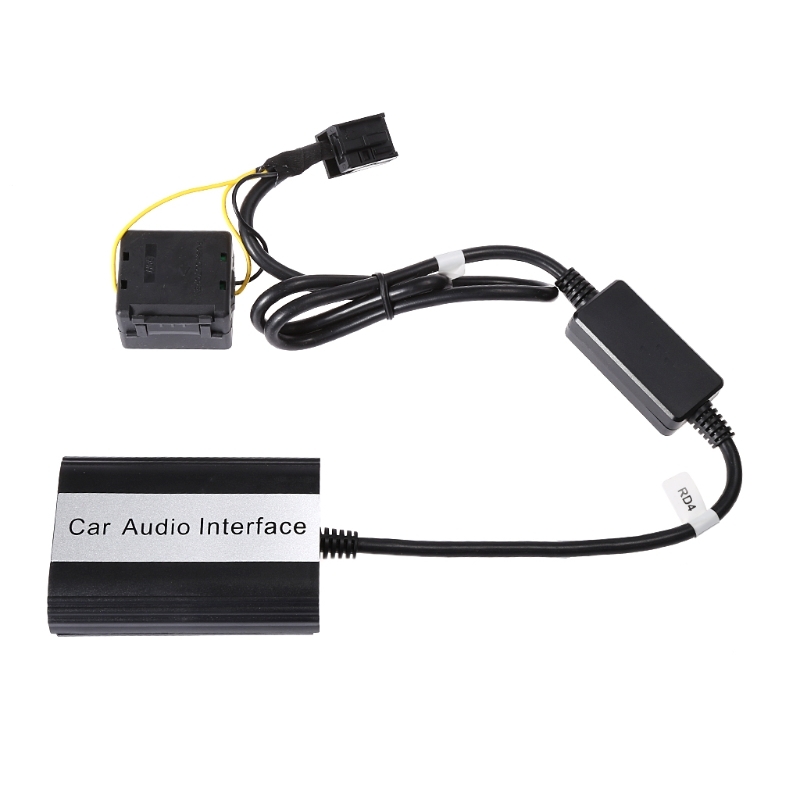 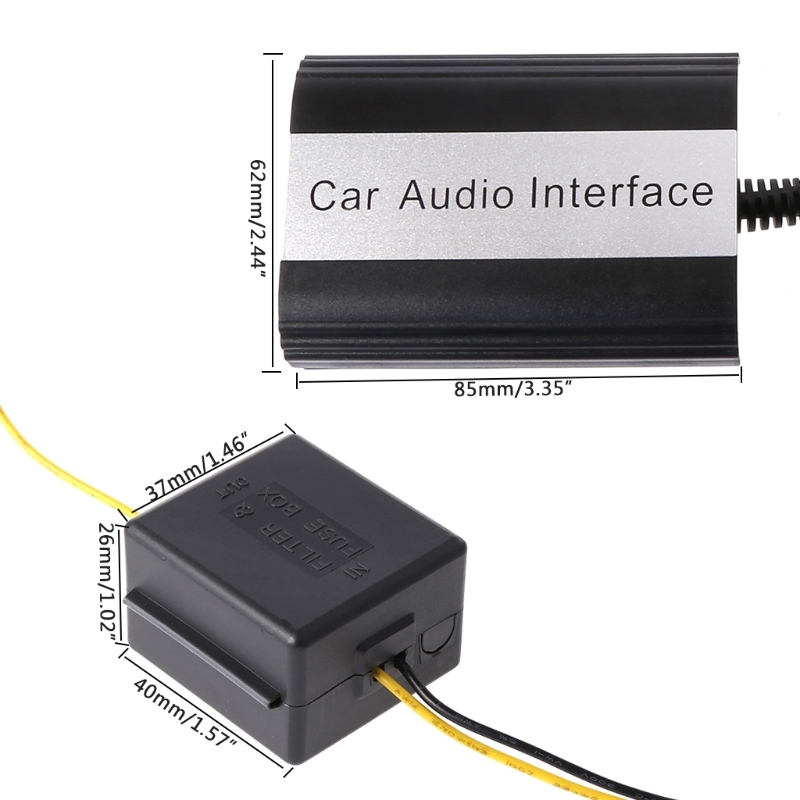 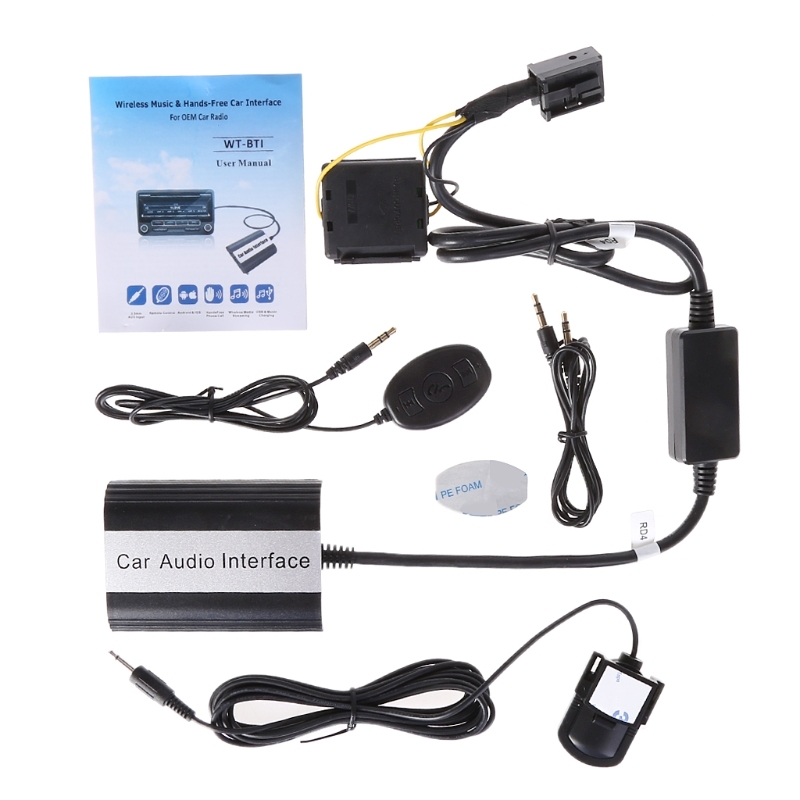 Bluetooth Music & Hands-Free Car Interface (hereinafter referred as ‘BTI’) is installed on the OEM radio via wire harness without interference. 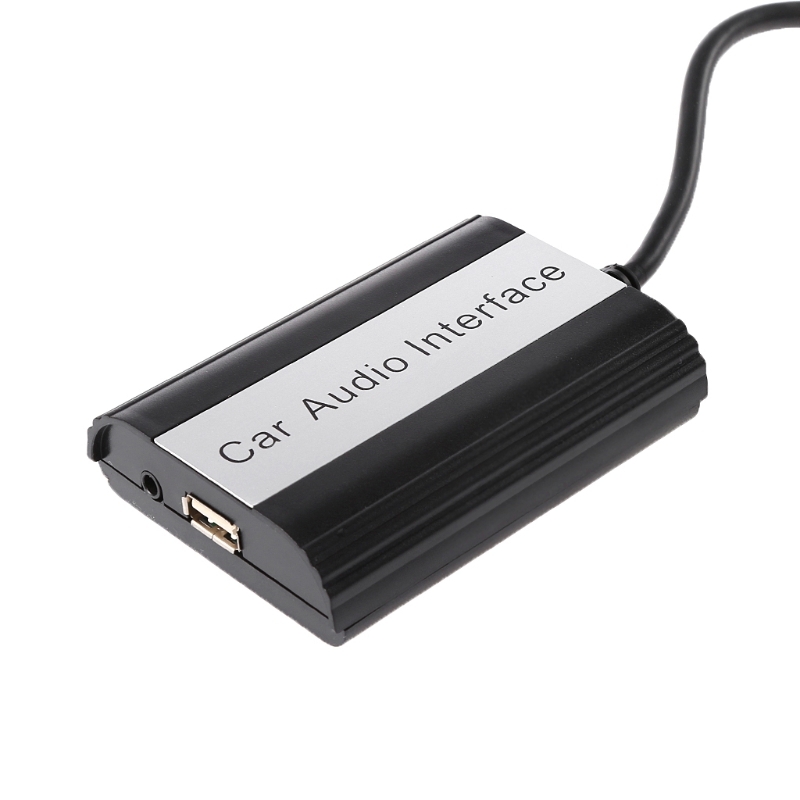 It delivers Hi-fi quality sound rivaling original CD. 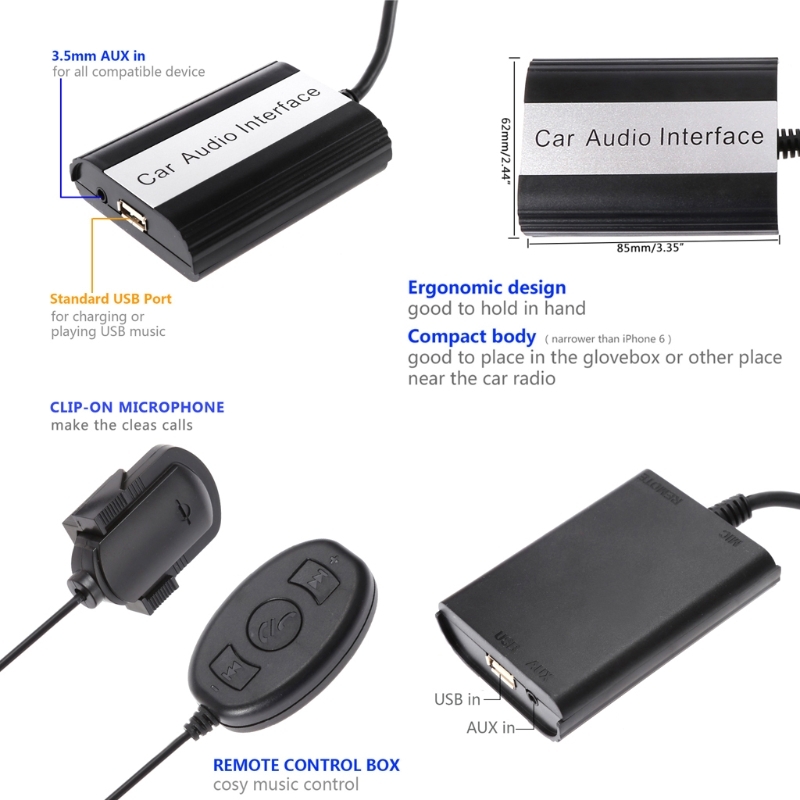 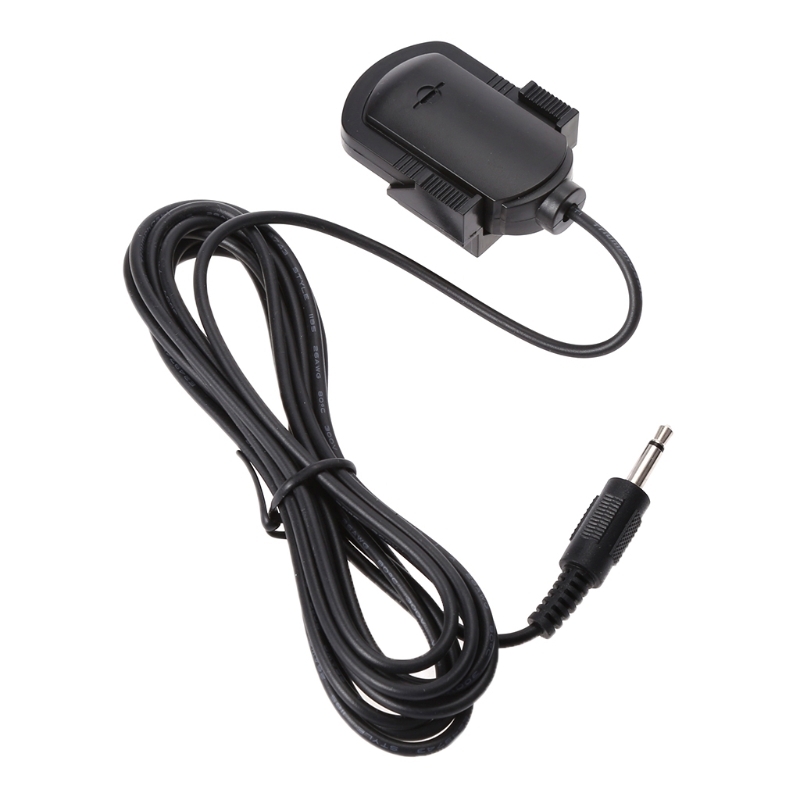 BTI achieves hands-free phone call (HFP) and Bluetooth music play (A2DP) via car stereo and steering wheel control or remote control box as well as AVRCP control technology.BTI offers 3.5mm auxiliary input to support any external sound sources and standard 5V USB charging port.